Six years in the making, the Regional Comprehensive Economic Partnership (RCEP) is slated to become an ASEAN-centric, comprehensive free trade area. 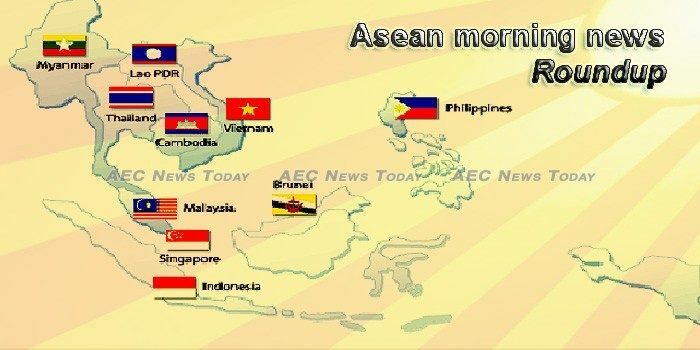 Its 16 negotiating parties are racing to reach a ‘substantial conclusion’ by the ASEAN summit of mid-November 2018. New vehicle sales in southeast Asia’s six largest markets combined continued to strengthen in the third quarter of 2018, with total volumes rising by 9.7% to 899,541 units from 820,135 units in the same period of last year, according to data collected by AsiaMotorBusiness.com from the mainstream local trade associations. When the world’s most powerful leaders converge in Singapore next week for the 13th East Asia Summit (EAS), they will know the region’s overall security situation and economic cooperative atmosphere has improved greatly in the past six months. Major rice exporters Thailand and Vietnam did not submit offers at a Philippines import tender for the supply of 203,000 tonnes of the grain, citing stricter terms, Philippine officials said on Tuesday. South Korea’s exports to the Association of Southeast Asian Nations (ASEAN) rose to the highest level in the first 10 months of the year, government data showed Tuesday. When Mahathir Mohamad reprised his role as Malaysia’s prime minister in May, he brought along a lengthy list of promises. When Malaysian producer Alvin Wee and composer Rendra Zawawi were approached to come up with the theme song for Asean Cultural Week 2018, they knew they had to craft an anthemic tune worthy of uniting an incredibly diverse region. The United Arab Emirates (UAE) have expressed their willingness to further assist Cambodia on economic development, particularly granting $500 million of credit line to Cambodia to import Arabian products to the kingdom, Prince Adam Amed Dalmook Al Maktuom, member of the ruling royal family of Dubai, one of the six ruling families of the United Arab Emirates, told Prime Minister Hun Sen in a courtesy call on Tuesday at the Peace Palace Phnom Penh. Cambodia has never banned Voice of America (VOA) and Radio Free Asia (RFA)’s broadcasts, and that Cambodian people are still able to listen to these two radio broadcasts as usual, Minister of Information Khieu Kanharith told outgoing U.S Ambassador to Cambodia William A. Heidt in a farewell meeting on Tuesday at the ministry. Local officials notice that when foreign visitors come to Xieng Khuang province many are drawn to the large Buddha at Phiavat temple which suffered from American bombing during the Indochina War. Prime Minister Thongloun Sisoulith is leading a Lao delegation to the China International ImportExpo in Shanghai, joining the world’s second largest economy and other countries in promoting the opening-up of trade amid tensions between global economic powers. Analysts are poring over the results of Myanmar’s by-elections which took place on Saturday, vainly trying to read the tea leaves, and perhaps reading too much into them. PHILIPPINE headline inflation rate was steady at 6.7 percent in October, unchanged from September but still at a nine-year high, the Philippine Statistics Authority (PSA) reported on Tuesday. The Philippines plans to raise P13.5 billion ($253.95 million) through a sale of retail treasury bonds to help fund the reconstruction of the besieged southern city of Marawi, the finance ministry said on Tuesday. The Federation of Thai Capital Market Organisations’ (Fetco) Investor Confidence Index (ICI) for the next three months (through to January 2019) fell into the neutral zone, decreasing by 7.23 per cent to 113.73. In addition, the new United State-Mexico-Canada Agreement would have an impact on Thai industries. The committee also mentioned Washington’s decision to drop 11 Thai products from its Generalized System of Preferences (GSP), and the slowing growth of major economies. The Ministry of Public Security has issued 336,932 e-visa to foreigners from January 2017 to October 2018.